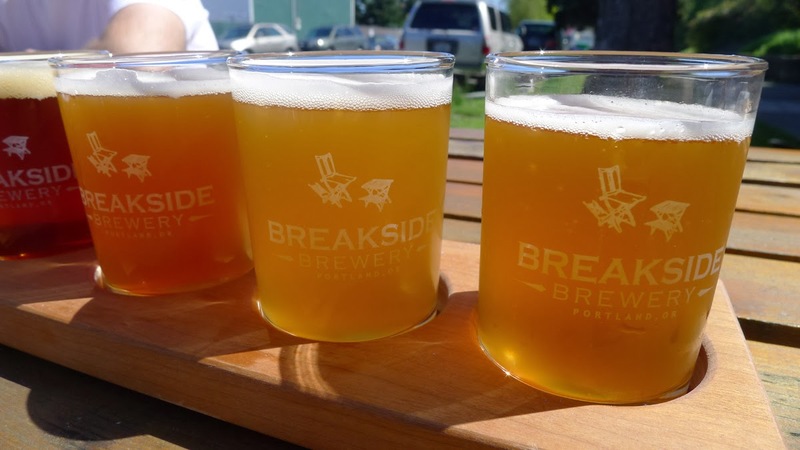 By pretty much any measure, Breakside Brewing has been a huge success since it opened its doors in 2010. The pub on Northeast Dekum is routinely packed. 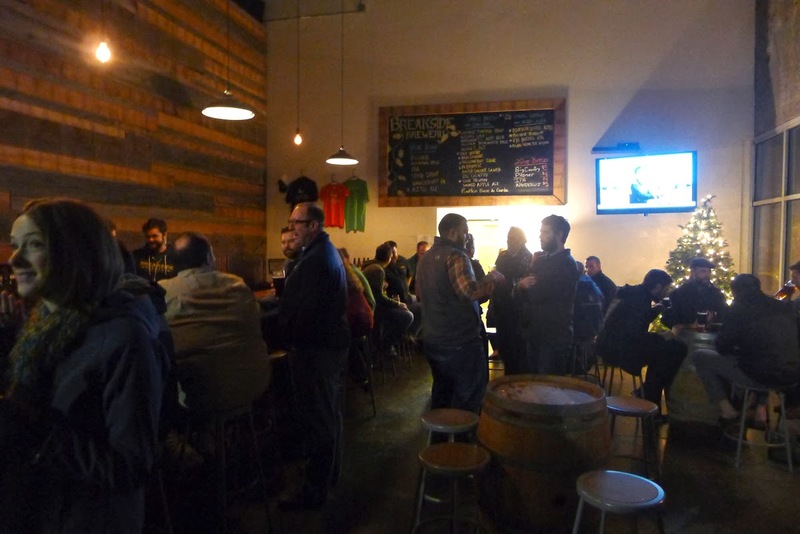 Success there led them to ramp up their game with a production brewery in Milwaukie, which opened in early 2013. They continue to expand their brand with the announcement of several special releases this Saturday, Dec. 21. One of these beers, and I'll get to the list, is the 100th release of the year. They are also establishing a beer club, the Cellar Reserve Club, which fans can sign up for beginning Saturday. Back up a bit. 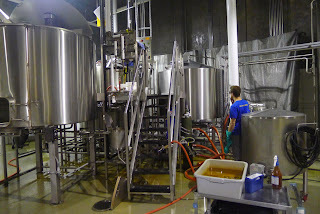 The original brewery on Dekum is a 3 bbl setup, essentially a nano-brewery. The limitations of that brewery were probably apparent from day one. Even as the beers gained a following, they lacked the capacity to brew more. A production brewery was the answer, and it presented itself in the form of a 30 bbl system in a 7,000-square foot facility in industrial Milwaukie. They have 24 taps in the tasting room. The change in output is amazing to behold. For all of 2012, Breakside produced 670 barrels of beer and was ranked 64th on the OLCC's Taxable Barrels Report. Then came the new brewery. By the end of September 2013, the most recent month for which production numbers are available, Breakside had produced 2,281 barrels and ranked 20th on the OLCC list. That's what a production brewery will do for you. Of course, there's more. The added capacity enabled Breakside to get bottles in stores. They worked closely with their distributor, Maletis, to choose beers that would have wide retail appeal. Breakside IPA is one of the best out there at the price. Having a solid line of bottles in stores has strengthened their brand. The production brewery helped make that happen. 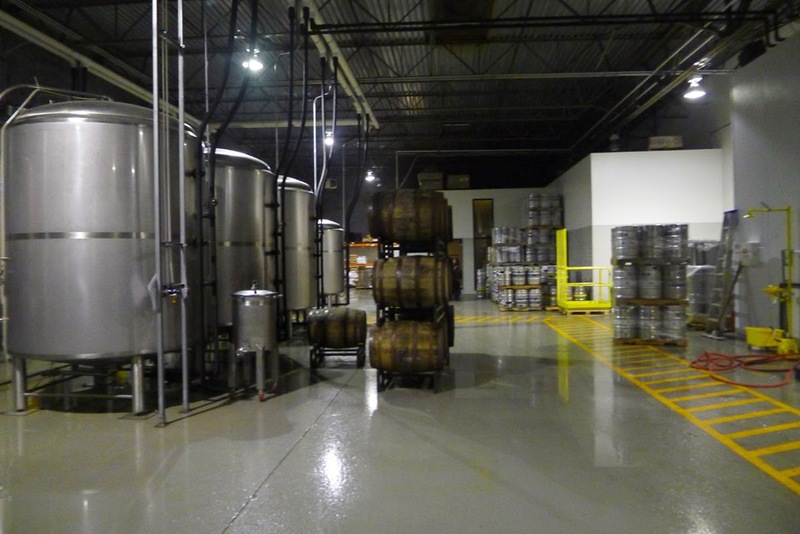 They have room for expansion in the new place and it also provides ample space for barrel-aging. As you may know, lack of available space is the main reason breweries that want to start a barrel program don't. Breakside's barrel program, limited before, is in fine form now. The old brewery on Dekum is now free to produce experimental beers at will. In fact, the 100 beers brewed during 2013 surely could not have happened if the old nano brewery had been engaged in production and specialty brewing. Again, a large, efficient production facility is nice to have when experimental beers are your thing. This Saturday they are releasing four special beers, three in bottles and one on draft, at the Milwaukie brewery. They are launching the Cellar Reserve Club, as well. Times are 10 a.m. to 8 p.m. The bottled beers are all barrel-aged and the draft beer will knock your socks off. Below is the list of bottles. Aquavit Barrel-Aged Braggot - Honey ale aged for eight months in a Krogstad Aquavit barrel. The end product (10.2% ABV) features notes of anise and carrway, along with mild oak. Bourbon Woody - A blend of 80 percent English old ale aged in bourbon barrels for seven months and 20 percent freshly brewed English strong ale. This winds up being a robust beer (just 10% ABV) with strong bourbon notes and a beefy body. Beaujolais avec Brett - A strong sour ale fermented with wild yeast, this is a brilliant violet color in a glass. It is bottle-conditioned with Brett for added complexity and clocks in at 8.2% ABV. The draft beer, anointed Breakside's 100th beer of 2013, is a brilliant effort known as Safe Word Triple IPA. We (beer media folks) tasted this out of a tank last week and it was fabulous with minimal carbonation. It will only get better. They used seven pounds of hops per barrel in making this beer. It packs a punch at 11% ABV and 140 IBU (a crazy number, I know). But this isn't a bitter beer. Nope. It smells like a hop drying room and hop flavor is bold. No self-respecting hophead will want to miss this beer. Again, it's draft only. Finally, the Cellar Reserve Club. Breakside is not the first brewery to start a club, although the idea has far more in common with wine than beer. Anyway, Breakside's club is limited to 80 members for now. For $200, you get a couple of exclusive glasses, a t-shirt, invitations to special release events in July and December, free entry into Breakside's anniversary party in May, and two bottles of five special release beers. Oh, you'll also have the option of continuing your membership for 2015. It seems likely the 80 memberships will go fast, so get out to the brewery on Saturday if you want in. I suspect there are a lot of breweries that would like to be in Breakside's position. They've built a solid reputation via careful planning and attention to detail. Brewmaster Ben Edmunds has one of the most creative minds in Oregon brewing, and has been instrumental in producing beers that people are drawn to. They're spreading their wings and the future is bright at Breakside.